Turtle is a symbol of good luck and divinity for many. I would like to include turtle as one of the item in my Home Décor Category. As there is belief that turtle would bring good luck if you have one at home, still most of us are not interested in keeping a live one at home. We find a Feng Shui turtle more often. But there are many ways you can have a turtle at home. Here are some of the beautiful home décor turtle items which you will love to have at your home. Turtle Throw Blanket – Have a look at this beautiful shades of color. Your guest will surely have an eye on it. Turtle Pillow Cover – Never thought pillow cover with turtle can be so attractive. Turtle Time Wall Clock – Try the popular Ninja Turtle and also the wooden carved turtle for those who love a simple yet standard. Handcrafted Turtle Figurine – But if you only need an exquisite treasure just go for this hand-painted porcelain kaleidoscope Turtle Figurine. Turtle Candy Dish – Surprise your kids with this two in one dish. It can decorate your table as well as surprise anyone with something inside it. Turtle Flower Vase – You can decorate your desktop with this Glass Top Turtle Flower Vase. It just reflects the color of the flower and makes it more attractive. 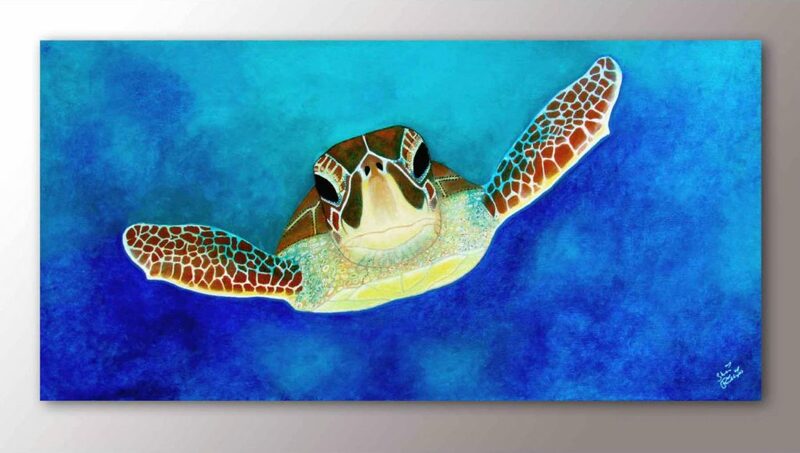 Turtle Hang Art – These colorful Turtle hang Art will just rule your wall. Decorate your home with these turtle home décor collections if you are a deep turtle lover and bring good luck to your home. Also If you have a very unique turtle item at your home, please take a click and send it to us so that we can include it here. Really enjoyed this post. The turtle is one of my favorite animals. I have them all over my home and as pets.